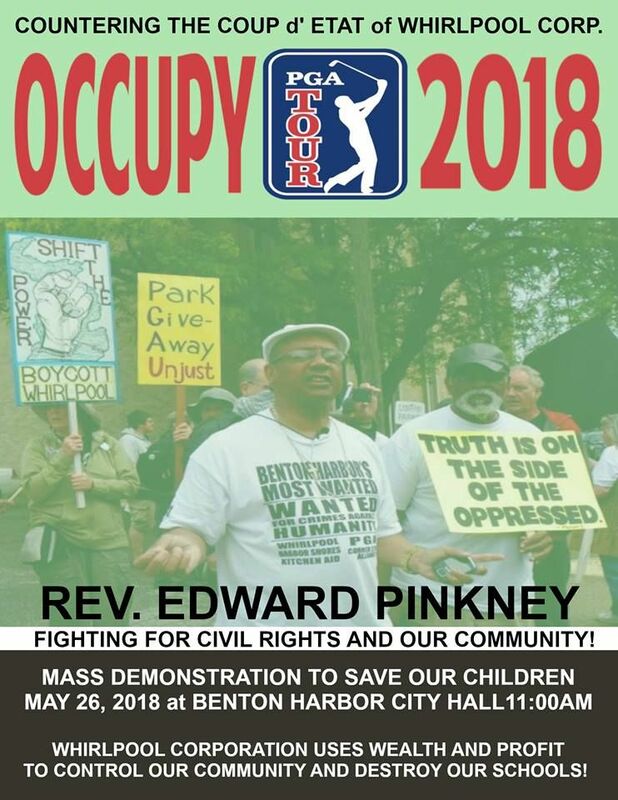 Occupy the PGA – May 26, 2018 in Benton Harbor! The Socialist Party of Michigan has endorsed the Occupy the PGA demonstration against the Whirlpool corporation’s war on the people of Benton Harbor. We urge all members and supporters to turn out and participate in this important event! Following its own key role in the decimation of Benton Harbor’s manufacturing-base, Whirlpool has leveraged both the city’s economic desperation and its own decades of control over the wider Berrien County political machine to compel the pending transformation of the city into a wealthy ruling class resort town. As a biennial showcase of its expanding luxury developments geared to that objective, Whirlpool is now once again hosting the Senior PGA Championship in the state of Michigan’s poorest city. For the site of its Harbor Shores Golf Club, opened in 2010, Whirlpool took over 465 acres of prime lakefront land for under a million dollars, including 22 central acres of the public lakefront park comprising the city’s crown jewel civic asset. In turn Whirlpool availed itself of $150 million in state tax incentives for the resort’s development, while predictably reneging on its promised 2000 jobs and major tax revenue boost for the surrounding populace. With greed as pervasive as its political reach, however, Whirlpool continues to show that it won’t be content until it has the whole pie. Rather than merely expanding its private luxury housing investments to accelerate financial gentrification, Whirlpool has marshaled all resources at its helm to escalate hardship for the poor and minority population it aims to drive out. In addition to christening the 2010 opening of its resort with the four-year reign of Emergency Manager’ dictatorship, Whirlpool continues to pull the strings of all surrounding governing bodies to maintain a permanent state of austerity coupled with unbridled police repression and judicial injustice reminiscent of the Jim Crow era South. Whirlpool’s colonial conquest of Benton Harbor provides a stark illustration of the modern day character of capitalist industrial firms as insatiably predatory institutions that traffic in the spoils of their own local economic destabilization. Having dispossessed so many community residents of their livelihoods, Whirlpool now aims to capitalize on the hardships borne from its desertion in order to dispossess such residents of their community itself. 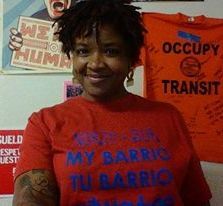 The Socialist Party of Michigan stands in full solidarity with the struggle of the Black Autonomy Network Community Organization and all Benton Harbor residents fighting to resist corporate takeover, and we likewise echo the demand that Senior PGA transfer 25% of its local profit to the cash-strapped city. Additionally, we call for the immediate placement of Whirlpool and all other major manufacturing firms under public ownership and democratic control; a democratically planned economy with guaranteed full employment for all; a 100% capital flight tax on runaway industry, overhauling and replacing the present systems of policing and legal injustice; a massive public works program to rebuild our cities and communities; and legal recognition of the right of communities of color to autonomy, community control, and self-determination, including the right to self-defense by any means necessary against reactionary violence and police harassment and brutality. The Socialist Party of Michigan will have an informational literature booth at the 40th annual Dally in the Alley street fair from 11:00 AM to 11:00 PM on Saturday September 9th. 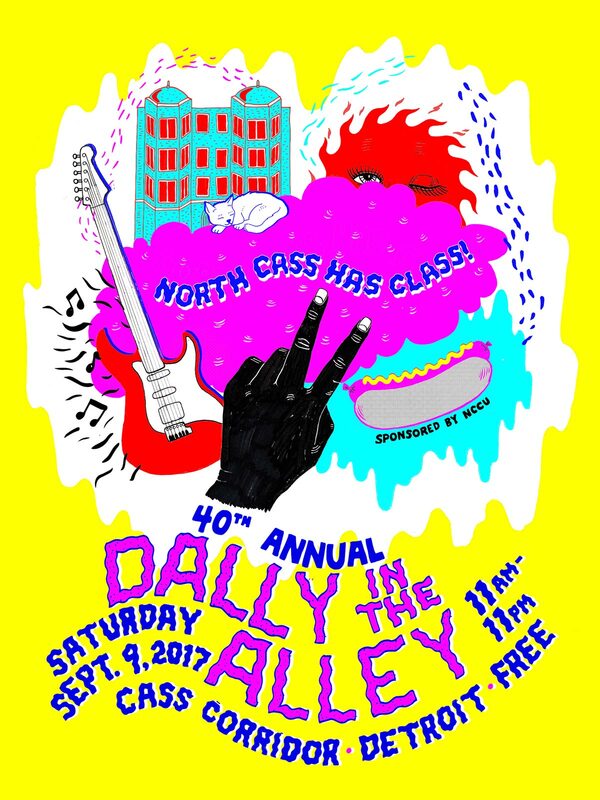 The Dally in the Alley is held each year in Detroit’s Cass Corrid or within the square block bounded by Hancock St. and Forest Ave. to the north/south and 2nd Ave. and 3rd Ave. to the east/west (map). The annual free community street fair features a wide array of vendors, live music, and visual artists, and is conducted without corporate sponsors. It typically draws a crowd of 50,000 to 60,000 attendees. We won’t know the precise spot of the Socialist booth until the point of check-in and set-up on Sat. morning. However, the booth should be easy to find from its display of a Socialist Party USA banner and SP posters. In conjunction with the Socialist Party USA’s Labor & Living Wage Campaign, the Socialist Party of Michigan will be c onducting an hour-length informational picket in front of the East Lansing Wendy’s restaurant to demand that Wendy’s join the Coalition of Immokalee Workers‘ (CIW) Fair Food Program, which provides worker-led oversight of wages and working conditions for the thousands of tomato pickers supplying the fast food industry. All supporters of farmworkers’ human rights are welcome and encouraged to come out and join us for this action! Wendy’s has not only refused to join the Fair Food Program (FFP), but has stopped buying tomatoes from Florida since the implementation of the FFP there. 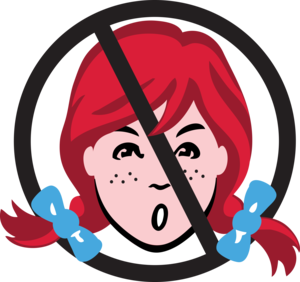 Rather than support an industry setting new standards for human rights, Wendy’s took its tomato purchases to Mexico, where workers continue to confront wage theft, sexual harassment, child labor, and even slavery without access to protections. …. Wendy’s stands alone as the last of the five major fast food corporations in the country to refuse to join the FFP. Following the Wendy’s demonstration, the Socialist Party of Michigan will be holding its quarterly state meeting at 2:30 pm at the Michigan Avenue Biggby Coffee – 500 E Michigan Ave, Lansing, MI 48912 (map). As with the demonstration, we welcome all interested members of the public to attend.